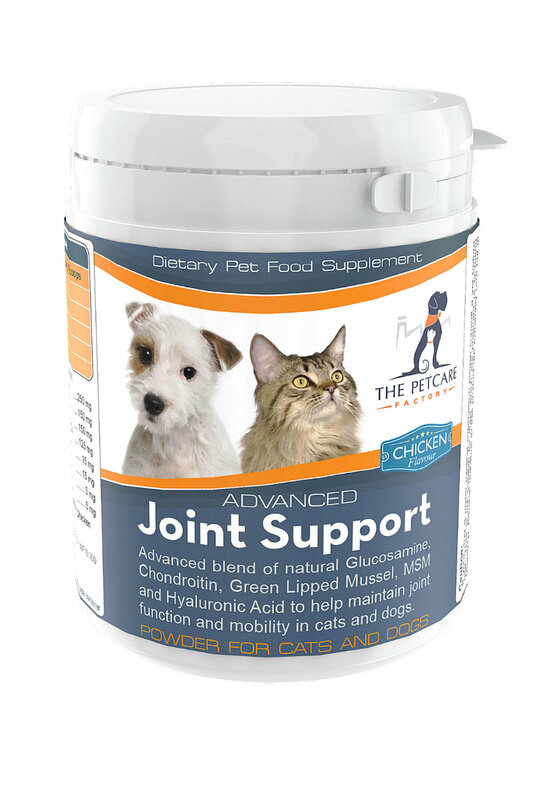 Our range of joint supplements contain a careful selection of active ingredients designed to assist with the management of painful and damaged joints, which are the result of degenerative and developmental disorders. Offering a mix of both traditional and modern natural ingredients, the food supplements offer a multifaceted approach to reducing inflammation and pain, and helping to protect the joints from further damage and injury. Natural blend of advanced active ingredients, in tablet form, for the prevention and management of hip and joint conditions. An advanced formulation which is specifically designed for one of a number of joint conditions, including arthritis, hip dysplasia, cruciate ligament disease and can assist during the recovery period after orthopaedic surgery. The product is loaded with high-grade, human-grade, natural ingredients, such as Glucosamine Sulphate, Chondroitin Sulphate, Green Lipped Mussel, Methylsulfonylmethane (MSM), Curcumin, Hyaluronic Acid (HA) and Manganese, all of which have been shown to support the structure and function of joints and help to eliminate Inflammation and pain. Each pack contains 120 high-quality joint support tablets. An advanced formulation which is specifically designed for one of a number of joint conditions, including arthritis, hip dysplasia, cruciate ligament disease and can assist during the recovery period after orthopaedic surgery. The product is loaded with high-grade, human-grade, natural ingredients, such as Glucosamine Sulphate, Chondroitin Sulphate, Green Lipped Mussel, Methylsulfonylmethane (MSM), Curcumin, Hyaluronic Acid (HA) and Manganese, all of which have been shown to support the structure and function of joints and help to eliminate Inflammation and pain. Each pack contains 300 high-quality joint support tablets. Natural blend of advanced active ingredients, in powder form, for the prevention and management of hip and joint conditions. 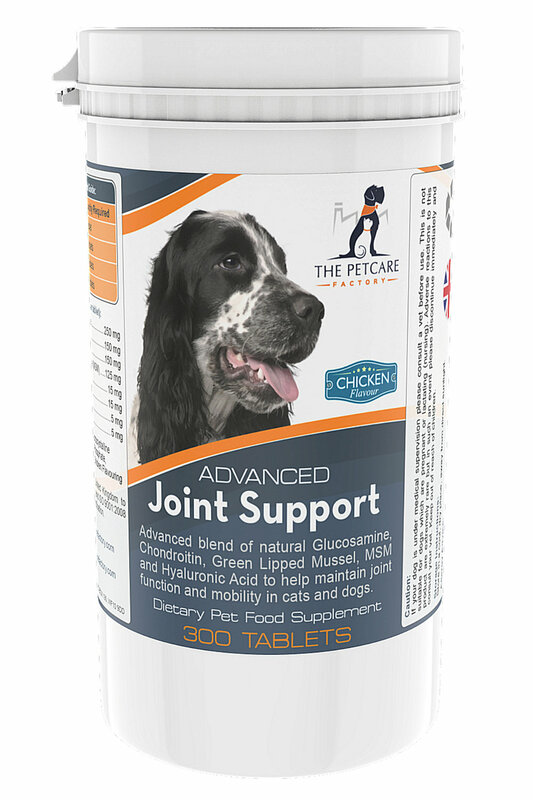 An advanced formulation which is specifically designed for one of a number of joint conditions, including arthritis, hip dysplasia, cruciate ligament disease and can assist during the recovery period after orthopaedic surgery. The product is loaded with high-grade, human-grade, natural ingredients, such as Glucosamine Sulphate, Chondroitin Sulphate, Green Lipped Mussel, Methylsulfonylmethane (MSM), Curcumin, Hyaluronic Acid (HA) and Manganese, all of which have been shown to support the structure and function of joints and help to eliminate Inflammation and pain. Each pack contains 150 g of supplement in powder form.